SEATTLE — October 20, 2016 — The BookSeller has named Seattle-based tech start up Novel Effect as one of five finalists for BookTech Company of the Year. The winner will be decided and announced at the FutureBook Conference in London on December 2nd. There, each finalist has the opportunity to pitch to digital publishing industry leaders during a showcase with the winner being selected by live vote. The FutureBook Conference put on by The BookSeller is Europe's largest digital publishing conference and focuses on the ongoing influence and transformation of digital technology in the publishing industry. This year's conference has also been expanded to include the growing markets of EdTech and AudioBooks. Past nominees for BookTech Company of the Year include Reedsy, an online service that connects authors to publishing professionals, and The Owl Field, creator of 3D, first-person story experiences. This year, nominees for BookTech Company of the year were limited to five companies. 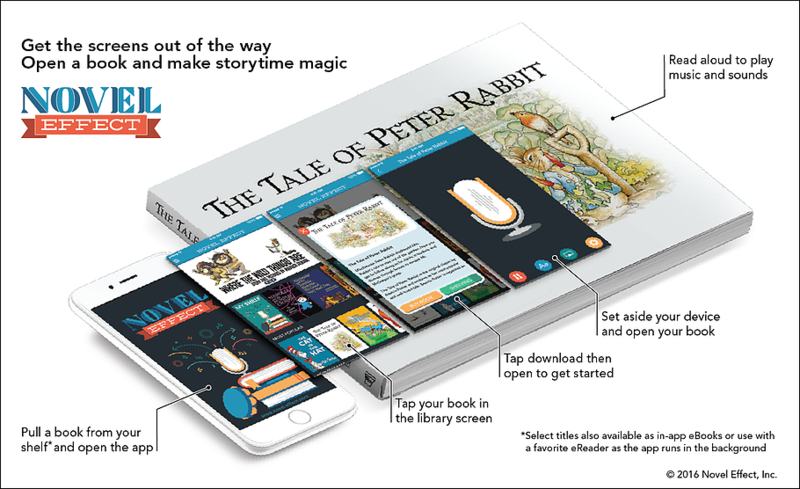 Novel Effect supplies real time movie-style soundtracks and sound effects to children's story books as they are read aloud and has worked with some of the largest publishers in the world to build its library. Novel Effect is also a recent graduate of The Pioneer Accelerator with Google and GSVlabs in Silicon Valley. Besides Novel Effect, the other finalists announced today at the Frankfurt Book Fair include Publishizer, Joosr, Kadaxis, and StoryTourist. The winner will be announced following the showcase in London on December 2nd.